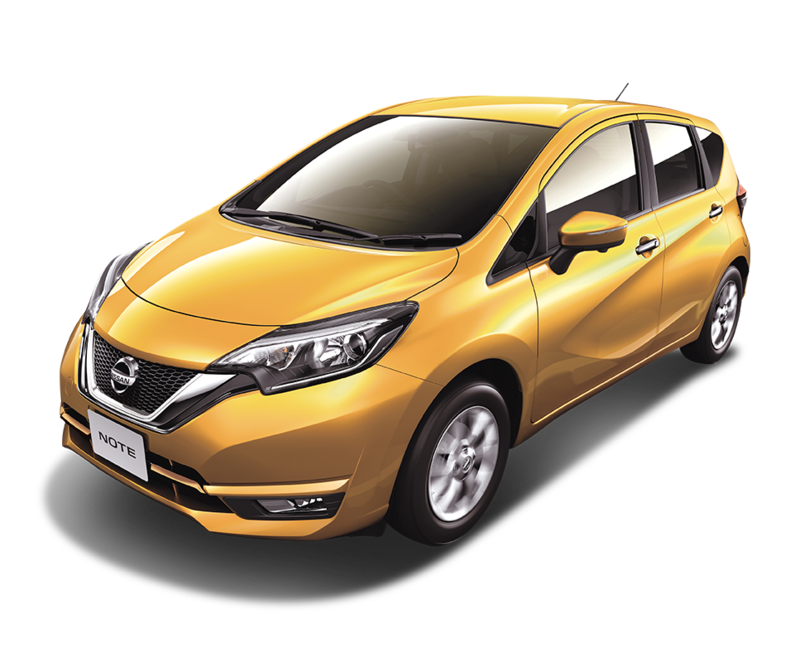 NISSAN NOTE IS EYE-CATCHING AND AERODYNAMICALLY EFFICIENT. Simple design with timeless elegance. 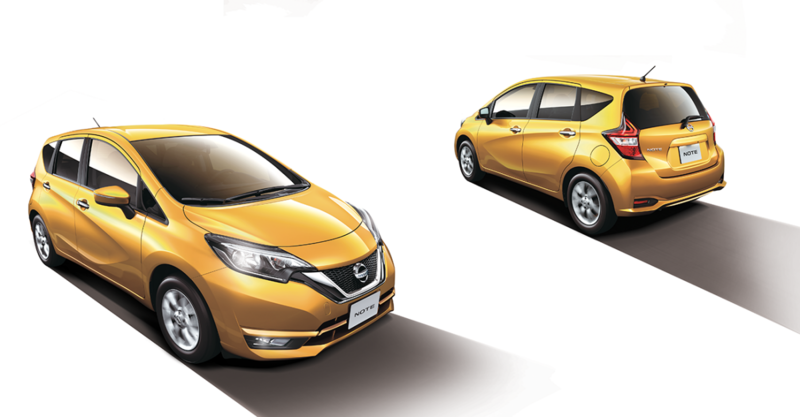 Nissan NOTE stimulates the visual with "Squash Line"body, while the body color has twelve color options to match the owners personality. Chrome handle are installed to enhance its moderness. The family front V-motion bee masks, projection design headlights, Z-type LED tail lights and four-leaf-shaped brake light combination, coupled with front and rear spoiler, the design fully demonstrated Nissan's dynamic and meticulous integration. 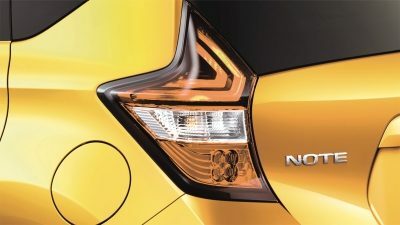 Illuminate your way with the stylish and aerodynamic headlights designed to flow seamlessly into the body of Nissan Note. Z-type LED tail lights and four-leaf-shaped combination of brake lights, coupled with front and rear spoiler, fully present Nissan's dynamic and meticulous integration. 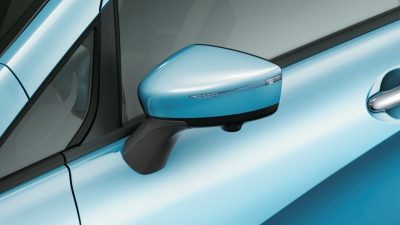 The unique front-end design cues on Nissan Note include premium sculpted wing mirrors that incorporate the turn indicators. NOTE is designed with a stylish interior and frame structure, spacious and practical. 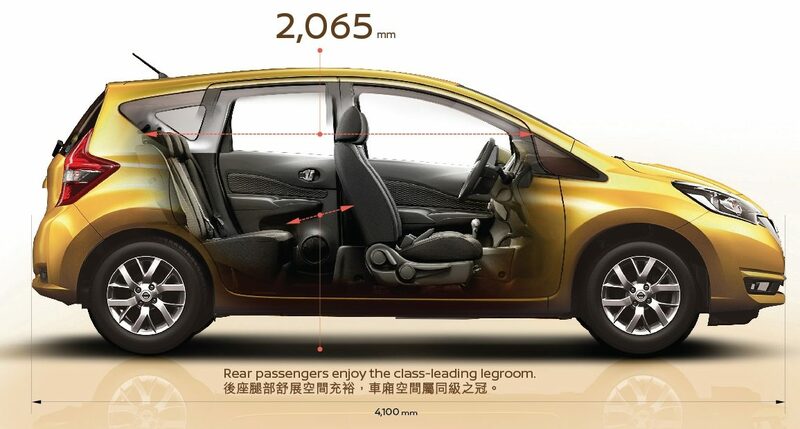 Its compartment space is beyond other similar models in the market. The quality of workmanship is revealed in every part of NOTE, you’ll find premium details like, double-stitched seating, chrome handles, and a leather-wrapped three-piece flat-end sporty steering wheel. It allows the driver to have a better steering control with more leg room. 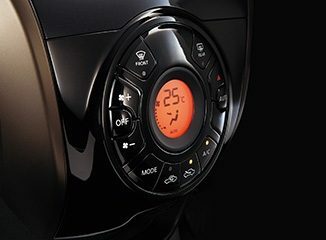 Dashboard and center console is both practical, yet modern with the "wave" line design. 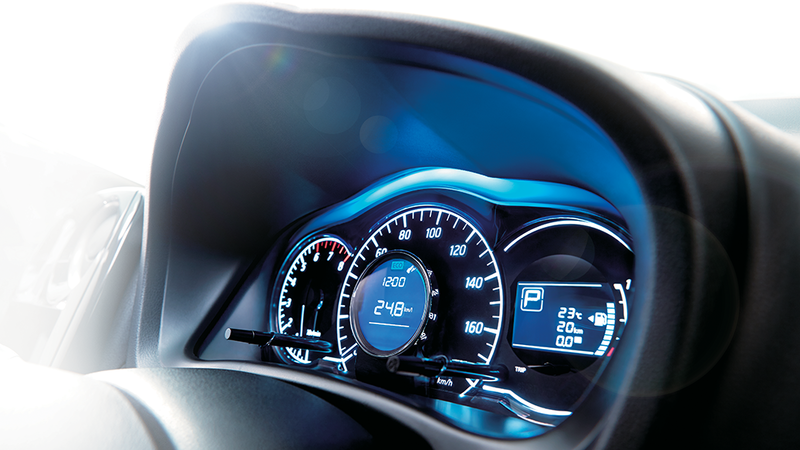 Fine Vision Meter illuminated with blue neon lights, highlighting Nissan’s ECO futuristic aesthetics. Jet black center console with chrome trims. Thoughtful layout that makes great use of space. 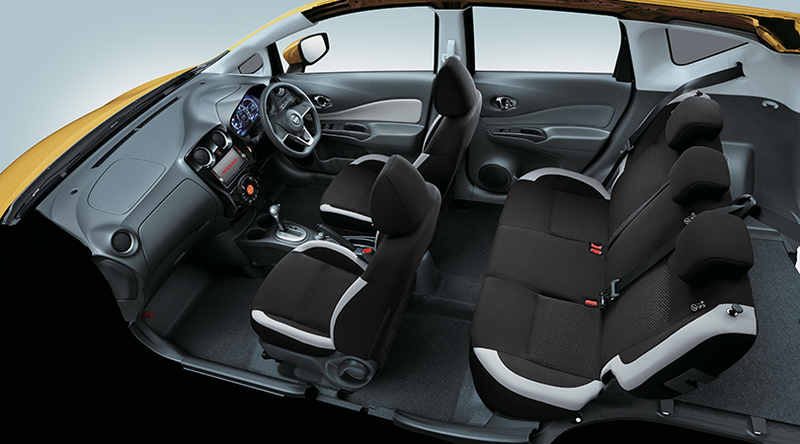 Nissan’s engineers have reduced the sizes of all mechanical components to take up as little room as possible in order to provide a spacious interior. With mechanical components taking minimal amount of space, the all-newNOTE features class-leading roominess. It has the best-in-class interior lengthof up to an impressive 2,065mm. The curvature of the back sides of the frontseats has been meticulously crafted for the comfort of the rear passengers,giving them ample spaces and unobstructed views ahead. Rear passengerdoors open nearly 90 degrees, making loading and unloading bulky itemssuch as child safety chairs, wheelchairs and other large objects a lot easier. NOTE provides the most spacious leg room at the back seats, passengers can sit however they desire, with their legs fully stretched out or folded, allowing them to tavel comfortably. Photos and information may vary from actual vehicles sold in Hong Kong, and specifications/information are subject to change without prior notice. Please contact Nissan Hong Kong for details.